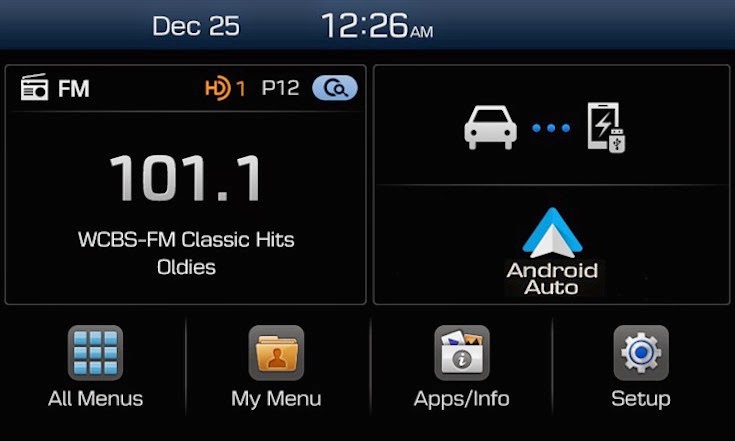 2015 promises to be a big year for car infotainment with Android Auto joining Apple CarPlay as smartphone-integrated platforms for your vehicle. Although CarPlay has been available for a while through Pioneer and Alpine head units, Android Auto is yet to be released on any platform. Hyundai is looking to make a big splash at the Consumer Electronics Show (CES 2015) next week when it will demo both, Apple CarPlay and Android Auto, in its vehicles. In a press release, the automaker has announced its own Display Audio system which ditches the traditional CD/DVD player and in-built navigation design for a fully smartphone-integrated platform. - Brings Android Auto™, which extends the Android™ platform in a way that is purpose built for driving. - Brings Apple CarPlay™, the smarter, safer and best iPhone experience, on four wheels. - Features the next generation Blue Link system with Connected Care, a suite of safety and car care features and remote engine start with climate control. - Incorporates the latest smartphone-enabled technologies and the next generation Blue Link® system into more lower price Hyundai models without embedded navigation systems. - The Display Audio system includes a large color touch-screen display that has been optimized for smartphone integration. The press release also mentions that Display Audio will not include an CD player or embedded navigation system. 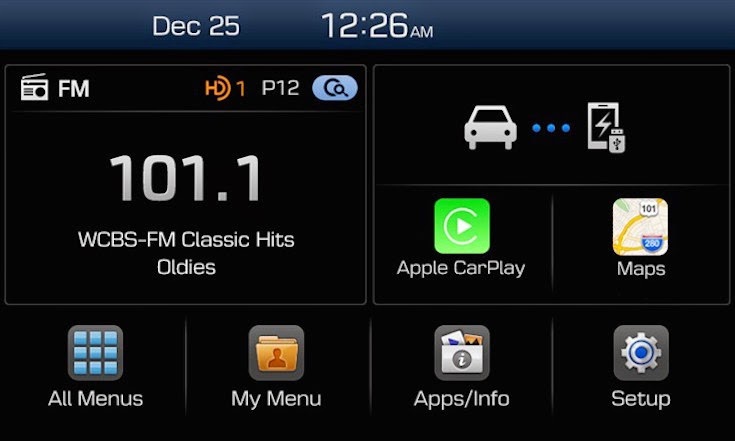 The infotainment system will feature a seven-inch color touchscreen display that is optimized for smartphone integration and the latest generation of Hyundai's own Blue Link system. In addition to Blue Link, iOS users will be able to use Apple CarPlay by connecting via a USB cable, whereas Android users will be able to use Android Auto for 'projecting' apps and services into the Display Audio system. You can read the entire press release from Hyundai's website. Smart phones seem to be the way to go these days. Everyone wants to access information on different levels all the time. With this new technology being applied to the Hyundai's, I am sure that their stock and total units sold will rise. I wonder what it would be like to be on the receiving end of new technology like this; especially is the automobile world.